After a tight contest, polls show Benjamin Netanyahu's Likud party appears better placed to form coalition government. Arab parties accuse the Likud party of attempting to infringe on the rights of Palestinian voters on election day. Arab parties accuse Likud of attempting to infringe on the rights of Palestinian voters on election day. The election is largely seen as a referendum on Benjamin Netanyahu who is hampered by corruption charges. Considering how #hamas treats people of #palestine did anyone expect animals to be treated any better? Palestinians held in Israeli jails launch open-ended hunger strike over worsening conditions, prisoners' statement. The total number of Palestinians currently imprisoned by Israel stands at 5,700, including 48 women and 250 children. Total number of Palestinians currently imprisoned by Israel stands at 5,700, including 48 women and 250 children. The #USA has blood on its hands. Jerusalemites of three faiths share their life stories and thoughts on the city's past, present and future. Associated Press does not cover protests in #palestine against #hamas but does frame Hamas as restrained and moderate? Thousands of Palestinians gather near Israeli border fence, marking one year of deadly Great March of Return protests. We challenge Danny Danon on Israeli air raids and ask if Israel plans to annex the occupied West Bank. Deal reached on eve of Great March of Return anniversary, Hamas media reports, but a Palestinian was killed on Saturday. 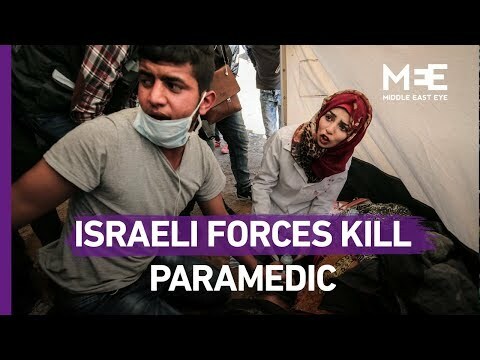 AS Palestinians mark the anniversary of the Great March of Return, MSF warns that the injured don't have adequate care. At least 250 Palestinians have been killed and thousands more wounded in a year of protests. We challenge Israel's ambassador to the UN and debate whether the Mueller report ends the collusion debate. Dozens of people descended on the capital to protest the annual AIPAC conference, amid division among US Democrats. Habib al-Masri, 24, was shot and wounded during protests against the Israeli army on Saturday. Tensions have been high in the West Bank since a Palestinian killed an Israeli soldier and a rabbi in an attack. 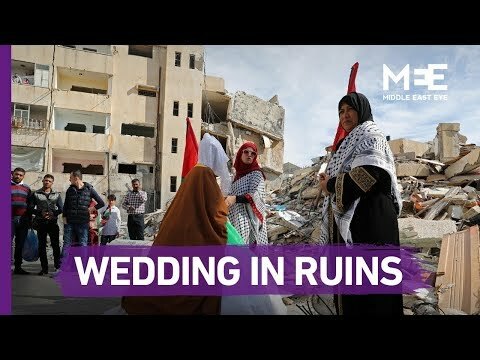 Gaza's We Want to Live protests face a crackdown. Al Jazeera looks at who is clamping down on the demonstrations. Reports say two more Palestinians were shot dead by Israeli soldiers near the West Bank city of Nablus. Protesters say Hamas forces attacked them with batons while protesting against dire living conditions in Gaza Strip.